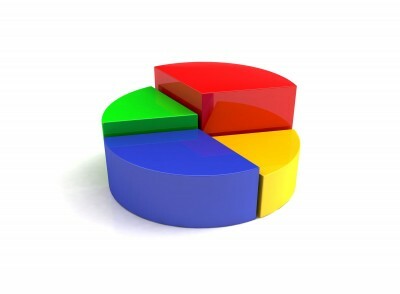 HomeBlogUncategorizedMarketing StrategyHow Should I Manage my Marketing Budget? How Should I Manage my Marketing Budget? I have a lot of small business clients that come to me wanting a particular service and after looking at their business and the market I often find that what they need is something completely different. Therefore I thought that it may be helpful to put together a simple guide on how to decide what marketing you should be doing, where you should be doing it and how much you should be spending. In order to be able to sell your product/service you need to understand exactly who the product is suitable for and how big the market for the product is amongst this group. For example if you sell shaving foam there is a massive market but there is no point in marketing it to 50% of the population, whereas if you sell accounting services then you need to define the type of business/individual that you will serve based on your unique intellectual property (IP) and offering. This all relates to understanding your product or service. • What is unique and special about your product? • Where does your customer hang out? If B2B then think of the individual that you want to target; is it the CEO, CFO, Marketing Manager, Head of Technical etc. Once you know who your customer is you need to learn everything that you can about them and/or their business. What are their day-to-day issues? You need to learn to speak the same language as your customer. A good place to do this research is on social networking sites like Facebook and Linkedin as well as the micro blogging site Twitter. You can use Linkedin questions to search for questions around your product. You can join groups that are built around your industry and your target market’s industry. On Facebook you can go and see if any of your competitors have a business page and see what they are doing on there; what are the conversations about? 1) What is the page title? 2) Right click on the page and then click “view source” to see the code from the page; check the meta keywords and the meta description as these will have been crafted for search engines so will tell you a lot about what your competitors are trying to achieve. 3) Look at the on page text; what is the tone of the text like, watch any videos and think about the reasoning behind image use. • What is the problem that your target customer has that you can solve? • How can you solve the problem? • What proof do you have that you can solve the problem? 3) Where does your target customer hang out? • If you can understand who your target customer is then you should be able to find out where they hang out. Look on social networks and industry blogs to see what sites people are talking about. • By becoming an active member in the social community of your industry you not only learn a lot but you also can gain recommendations and win customers directly. • Your customers will certainly be using search engines to find products like yours; take time to do some in-depth research into the nature of the keywords that they are using for the different products that you stock. Think about the user intent of the keywords. If you are thinking of using PPC ads then you should start by only using the keywords that have higher purchase intent so that you give yourself the best chance of a good ROI. If you are planning for SEO then you may want to focus your product pages around the high purchase intent keywords and then produce blog, articles, videos and other content around keywords that imply knowledge seeking or research so that you can get peoples attention when they are early on in the process of deciding to buy a product like yours. If you know that your average customer places 3 orders in their lifetime and that each order on average is for £100 then the total average customer lifetime revenue is £300. If you then calculate the customer lifetime value by taking your margin from that figure e.g. if your margin is 25% then the customer lifetime value will be £300 x 25% = £75. Therefore you know that you can spend up to £75 on recruiting each customer. Once you have this figure then you can set monthly aims based on your marketing budget. For example if you have a monthly marketing budget of £3000 then you will need to get at least £3000 / £75 = 40 customers per month. Once you have this data then you can start to piece together your current performance. If you are not already using one then you should get a web analytics package installed on your website. Google Analytics is free and very good. Using the Analytics package you can start to see where your sales/leads are coming from. In Google Analytics you can set up goals on your website. These may be a download of a brochure or a white paper; it may be a sale or the submitting of an email address. Once you can see how the different sources of web traffic are contributing to you achieving these goals then you can begin to see where your time should be focused. 1) Sales by product/service (assuming that you have more than one). Which pages in your website are successful in getting you sales/leads? 2) Sales by marketing channel – are the majority of your sales coming from Adwords, Natural (Organic) search, affiliate marketing, social media, Email marketing etc? Once you understand this at a top level you can begin to get more granular. For example; which types of keywords are bringing the most conversions and why? what days of the week are best for sales? What happened to sales when you doubled your email send frequency? In the short-term you should try to get more out of the channels/products that are already performing well. You are obviously doing something right here so do more of it. Then move down the funnel step by step optimizing each of the channels one by one. You also need to pay close attention to the conversion rate. This is the percentage of sales/leads that you get for every 100 visitors to the website. You may find that you have channels/products/services that are giving you a very high conversion rate but that are not bringing in much web traffic. These are areas that hold potential. Seek to understand how you can get more traffic from these channels or to these areas of your website. 2) Concentrate on driving more traffic to those pages using PPC; ensure that you have highly focused ad groups, ads and keywords that relate closely to the products otherwise the efficiency that you convert may start to fall. Here is a blog post that we wrote on managing Adwords for low CPC’s. it focuses on keeping things tight and efficient so may be of use to read. 3) For SEO you could start to look at ways that you could drive more links to those pages. Perhaps you could create content such as blogs, videos and press releases that cover the products/services and then link from these pieces of content to the product/service pages. You could then distribute your blog posts and videos on social media sites such as Youtube, Facebook, Twitter etc to raise awareness of them. I wrote a blog recently on SEO for small businesses. 4) You could also look for different angles for links; perhaps you sell a car valet service and a blogger is moaning about how their car got filthy in the storm at the weekend. Email them and offer them a free car valet. Chances are that they will then give you a blog article and perhaps some social media coverage in return. You will undoubtedly be doing some things that are not working. Once you have some clear data to prove this then you need to stop doing it. This may mean removing/changing/re-working poor performing services/products that you offer. It may mean that you need to restructure your Adwords account to stem irrelevant traffic. The important thing is that you get your hands on the data that you need to get a clear picture of what is going on, and then act on it objectively and quickly. There is no room for subjective emotions when the data clearly shows what is going wrong (regardless of it being your pet project). In the example that I used above it turned out that we could spend £75 on every sale/lead. Once you have the data to see how each of your channels are performing then you can start to manage the budget properly. What is the cost per sale/cost per lead for each of your marketing/traffic channels? Firstly focus on doing more of the good stuff and then reduce the bad stuff, but do ensure that you understand why something is working or not working before making changes. It is not good to look at things only at the top level (not detailed enough) and determine for example that Google Adwords is your best opportunity, what if it turns out that you only had a small pocket of keywords doing great things and then you go and spend a load more money inefficiently on keywords that are not working for you? If you would like to run any ideas past me then please just leave a comment and I will do my best to give you a helpful and practical response.